Pray for all the resources and creativity needed to fulfill the intentions of God in the state of Kansas. State Information: Known as the “Sunflower State,” Kansas became the 34th state in 1861. 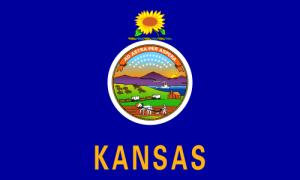 The state’s name comes from the Kansa or Kaw Indians and is a Sioux Indian term meaning “south wind people.” Within Kansas’s borders is the magnetic center mark for all of North America. All land surveys in the U.S., Canada, and Mexico use this as a reference point. The geographic center of the 48 contiguous (connected) states is located in a Kansas pasture. The native sunflower is the state flower and the capital is Topeka.